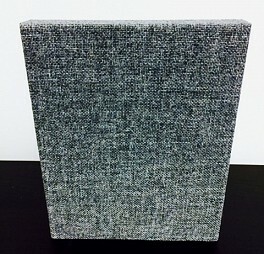 HardSide acoustical cloud panels are an attractive, and unique solution to reverberant noise problems at the ceiling level. HardSide cloud panels are constructed with 6-7 PCF fiberglass boards faced in fabrics from the FR 701 Collection from Guilford of Maine or factory-approved, customer-selected fabric. Perfect for spaces where ceilings are too low for vertical baffle installations, cloud panels perform a similar acoustical function without sprinkler or lighting interference. Cloud panels can also be backlit with low voltage lighting for a dramatic effect. Panels are available in panel sizes up to 4 ft. x 10 ft.. Also available in custom shapes. Large interior ceiling applications where superior acoustical performance is required.